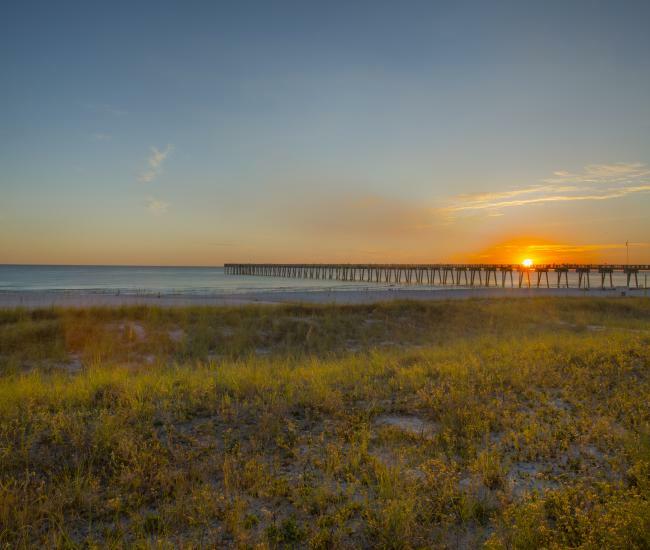 Panama City Beach offers fishermen 4 great fishing piers to choose from - 3 that reach far out into the Gulf of Mexico, and 1 that offers anglers a chance to cast their line into the Grand Lagoon. 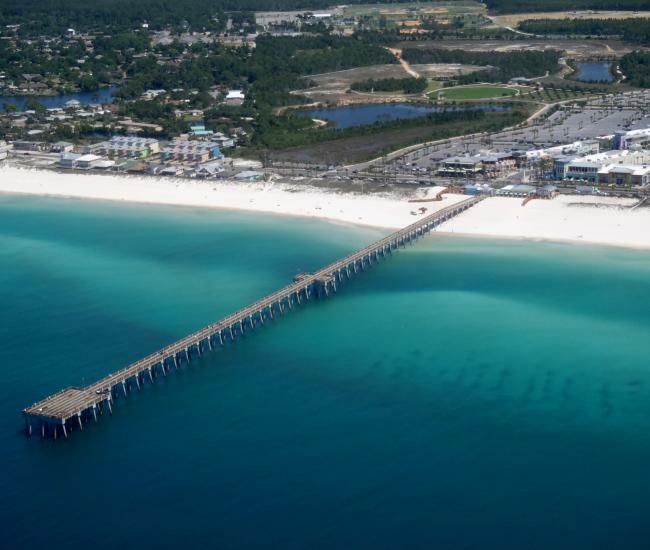 The two most prominent fishing piers in Panama City Beach are the identical Russell-Fields Pier and the M.B. Miller Pier, often referred to as the City Pier and the County Pier. Constructed within a year of each other (completed in 2009 and 2010), these two concrete piers are built to resist hurricane damage and are the longest twin fishing piers on the Gulf of Mexico, stretching some 1,500 feet into excellent fishing grounds! In addition to fishermen, the piers are popular with spectators as well, who enjoy walking out over the water, witnessing some amazing catches, or just enjoying the unique view of the beach and the clear emerald waters swirling around the pilings of the piers. The cost to fish from either pier is $6. This price includes your daily fishing license, and discounts are available for seniors, military, and disabled persons. Children 6 years of age and under are free, and seasonal or annual passes are also available. Spectators to the Russell-Fields Pier pay $3 for a day pass, while the M.B. Miller Pier charges $2/day for spectators. Passes purchased for one of these piers can be used at either.